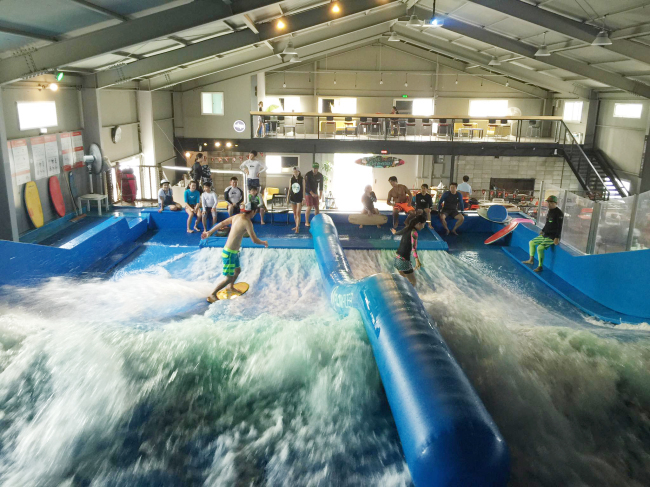 If traveling all the way to a beach does not fit your schedule, there is the option of indoor surfing at Flow House Seoul in Goyang, Gyeonggi Province. Practice balancing on a board at this establishment, which touts itself as a transplanted California beach. Training sessions are available at 350,000 won ($315) per hour for a group of eight to 11. For a group of four, an hour’s flow riding starts at 40,000 won per head without lesson. Flow House Seoul opens daily from 1 p.m. to 10 p.m. Visit www.flowhouseseoul.com for more information. Paddleboarding at the Han River can train one’s inner core and balance on moving water. 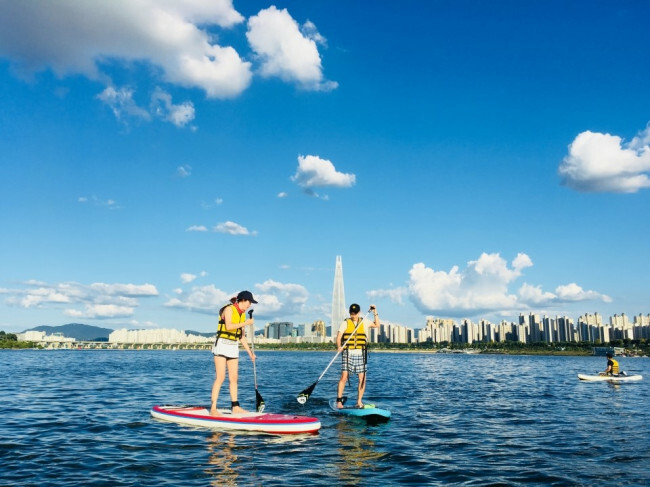 This isn’t quite surfing but if one wants to do a water sport that involves a board, paddleboarding could be a good warmup in the heart of Seoul. As Korean surfers lack the right information, veteran surfer Song Chang-hoon has translated John Robison’s “Surfing Illustrated: A Visual Guide to Wave Riding” into Korean. The 176-page book works as an encyclopedia for surfing beginners as it holds essential and extensive information on the sport.